DOCTOR WHO - The Actors Who Could've Been The Doctor, Part 1 | Warped Factor - Words in the Key of Geek. Following our list of the 'other' actors who have portrayed the Doctor, we now turn to those actors who nearly became our favourite Time Lord. Over the course of the last 51 years many other actors were considered for the role before the particular Doctor we now know and love was cast. Some of these are well known, others not so much. Many of the names we've discovered have gone on to be associated with Doctor Who in other capacities, and some of the actors considered are quite diverse and leaves you wondering just what direction their casting would have taken the show. I've tried to avoid the names that were merely tabloid speculation and stuck to those who were either considered, approached or auditioned for the role. We'll kick off with the actors considered for Doctors one through seven. Before Verity Lambert took charge of Doctor Who the show had a 'caretaker' producer, he was Rex Tucker. Tucker wanted to cast his good friend Hugh David in the role of the Doctor. Lambert vetoed the idea because she felt at 38 he was too young for the part. 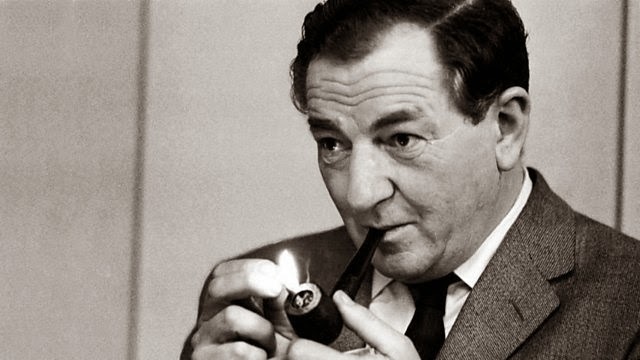 David would go on to direct the Second Doctor stories, The Highlanders and Fury From The Deep. Before finding her 'Grandfather figure' in William Hartnell, Verity Lambert offered the part to several other actors, all of who declined, including Alan Webb, Cyril Cusack and Leslie French (above). 25 years later French appeared in the Seventh Doctor story, Silver Nemesis as Lady Peinforte's mathematician. One more actor offered the role of the First Doctor before Hartnell was Geoffrey Bayldon. 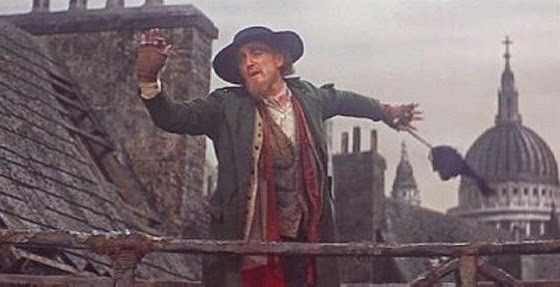 You may know his as Catweazle, or as the Crowman in the Jon Pertwee serial Worzel Gummidge. 40 years later Bayldon finally played an alternative version of the First Doctor in two stories for the Big Finish Doctor Who Unbound series. He also appeared as Organon in the Fourth Doctor serial The Creature from the Pit. Before Patrick Troughton took the keys of the TARDIS from William Hartnell, several other actors were considered for the part. 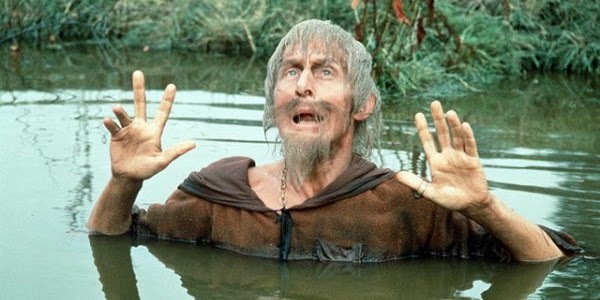 Once again the BBC approached Geoffrey Bayldon, he turned down the role again. Also declining the part was Rupert Davies (above). Davies had just completed filming the John Le Carre adaptation The Spy Who Came In From The Cold, where he played George Smiley opposite Richard Burton's Alec Leamas. Davies went on to voice Professor Ian McClaine in Joe 90. In a new interview with The Radio Times Brian Blessed has revealed that he was approached for the role of the Second Doctor. "After I was in Z Cars, the head of BBC serials took me aside and said, 'We're thinking of having a young Doctor Who and we'd like to cast you', but it clashed with other things." Shame. 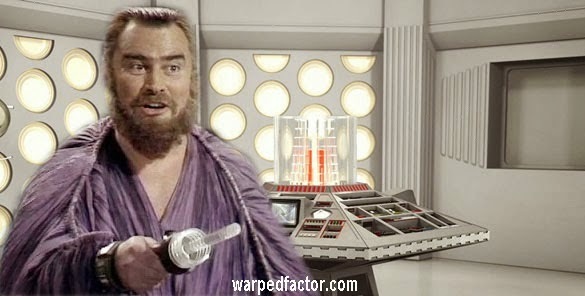 We like Brian Blessed! Valentine Dyall was also offered the role, but he didn't want to commit to a long running series. 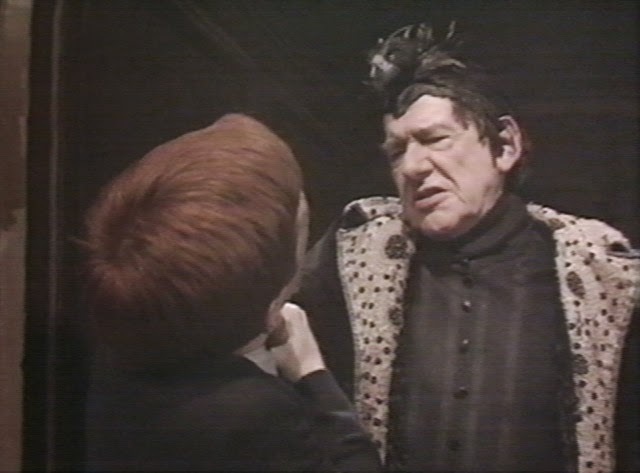 Dyall would later play the Black Guardian in four Doctor Who stories: The Armageddon Factor, Mawdryn Undead, Terminus and Enlightenment. 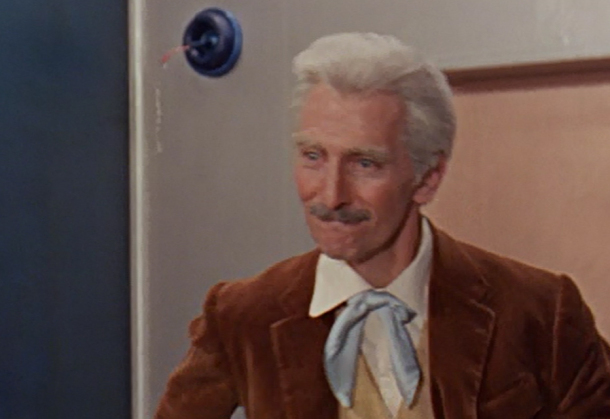 The 1960s movie Dr. Who, Peter Cushing (above), was asked if he'd be interested in taking over from William Hartnell. He wasn't. But we'll be coming back to Peter Cushing later on. When Patrick Troughton was decided upon as the Second Doctor another actor was also chosen in case negotiations broke down with Troughton (a technique that was employed on more than one occasion). The actor in reserve was Sir Michael Hordern. Hordern had a very long and distinguished career, he too appeared in The Spy Who Came In From The Cold, as well as Where Eagles Dare, countless plays and television adaptations, but many of you may remember him as the narrator of Paddington in the 1970s. 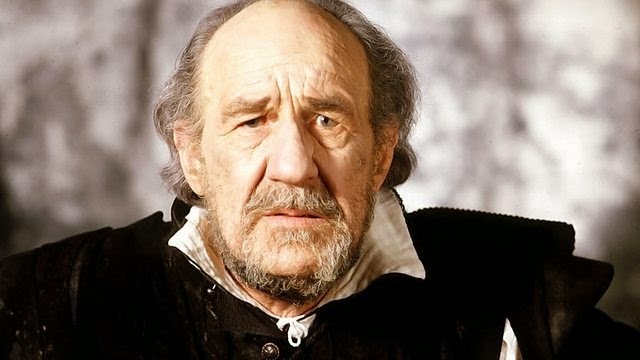 Only one other actor is known to have been considered for the Third Doctor before Jon Pertwee, that was Ron Moody. At the time he had recently enjoyed success as Fagin in the film adaptation of Oliver and was the first choice for the Time Lord. Many years later he revealed how much he regretted turning the part down, and that every time he hears the iconic theme music he kicks himself. Barry Letts considered several actors for the part of the Fourth Doctor, one of the first to be offered the role was Fulton Mackay. He'd previously appeared in The Silurians in 1970 and was said to be seriously considering accepting the part. However a pilot for a comedy show he'd just filmed was commissioned for a full series, meaning he had to decline. That show was the famous Ronnie Barker prison sit-com Porridge! The production team also went to Peter Cushing once again, and this time he was very interested in the role and later said that he would've accepted if prior commitments had not have made it impossible. Carry On actor Jim Dale was briefly considered for the part of the Fourth Doctor, as well as Michael Bentine (above - left!). 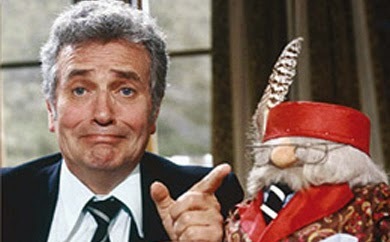 However Bentine demanded too much creative control and so was not offered the part. 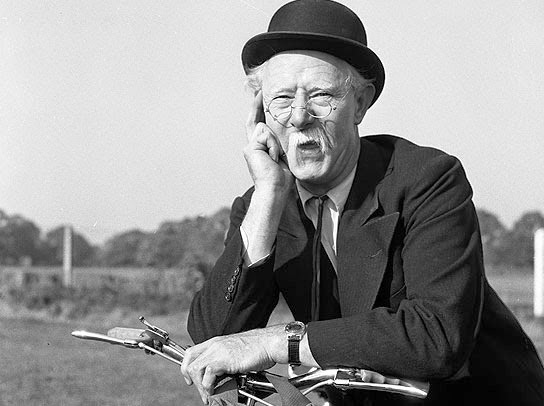 Another actor who was sought out was Richard Hearne. Bizarrely he insisted on portraying the Fourth Doctor in the style of his Mr Pastry character (above), which clearly was not acceptable to the production team. Graham Crowden was offered the role of the Fourth Doctor, but turned it down as he did not wish to commit himself to a long term series. 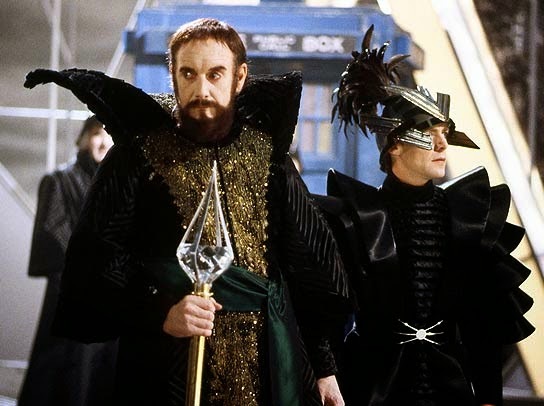 In 1979 he made a guest appearance in Doctor Who as the villainous Soldeed in The Horns of Nimon. One final actor considered for the part of the Fourth Doctor was Bernard Cribbins. Although never offered the role at this point in time, Cribbins did audition. He has of course had a long association with the show, both years before and years after this audition. 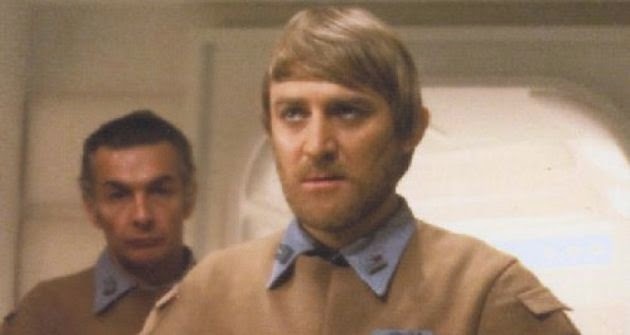 He was companion Tom Campbell in the 1966 movie version of Dr. Who & The Daleks - Invasion Earth: 2150 A.D. and he went on to play Wilfred Mott during the Tenth Doctor's era. Personally, I think he would have made an amazing Doctor at any stage of his career. When John Nathan-Turner was casting the Fifth Doctor he had one name at the top of his list, Peter Davison. However, to cover himself in case Davison turned down the role JNT considered two other actors for the part. One was Richard Griffiths, who was not available (but he'll feature again in this story), the other was Iain Cuthbertson (above, centre), who had previously guest starred opposite Tom Baker in the 1978 story The Ribos Operation. The Sixth Doctor is quite unique, and I'm not referring to his costume! Colin Baker was the only person considered for the role after impressing JNT the previous year when he guest starred in Arc Of Infinity. 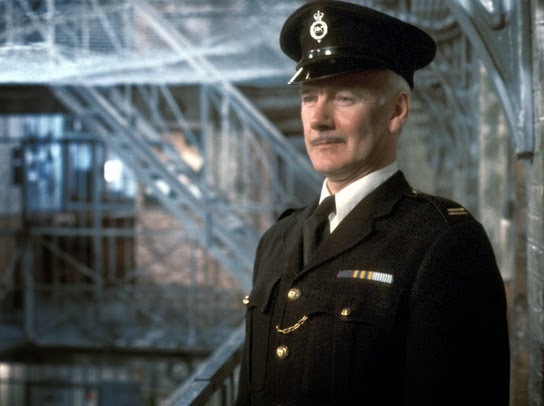 Baker was a little upset at taking the role of Security Commander Maxil, because he thought it meant he would never be the Doctor, a role he coveted and said yes to immediately. Four actors were in line for the Seventh Doctor. The first cut from the list was Dermot Crowley, who had played General Madine in Star Wars: Return Of The Jedi, and most recently appeared as Martin Schenk in Luther. The Ian McShane series Lovejoy was another show that suffered a hiatus in 1986, unlike Doctor Who their 'rest' lasted five years! So later that year Lovejoy's sidekick Eric Catchpole, aka Chris Jury, found himself auditioning for the role of the Seventh Doctor. He was well liked by the production team who eventually cast him as Kingpin in 1988's The Greatest Show in the Galaxy. As we all know, Sylvester McCoy was offered the role of the Seventh Doctor. 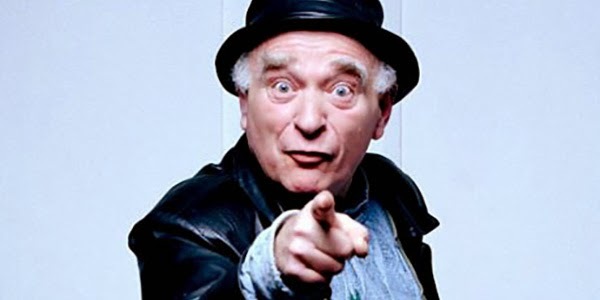 McCoy had come to prominence when Ken Campbell 'discovered' him and recruited him for the comedy act, The Ken Campbell Roadshow, which he starred in alongside Bob Hoskins and Brian Murphy (George from George & Mildred). Campbell auditioned for the part of the Seventh Doctor but was deemed to be too dark. His protege donned the Colin Baker wig and the rest, as they say, is history! You can read part 2 of the actors who could've been the Doctor here, featuring Doctors eight through twelve.